Copyright (c) – Sony/ATV Music Publishing (UK) Ltd. Hype sticker reads: "The early alternate mixes making their vinyl debut." 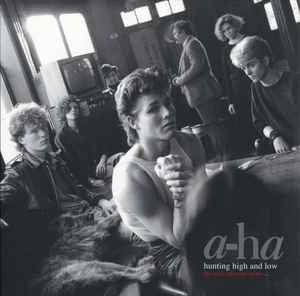 a-Ha is one of the "one hit wonders" that give you a lot if you dig deeper (like Adam Ant and Big Country). This album of different takes is pretty enlightening. It's cool to hear a slightly less refined and more raw sound to the top brass of 80s pop. It's an excellent album. Only complaint is that the didn't dig out a true early take of Take on Me. Lucky enough to find on RSD. Great pressing, and a total gem if you can find. Not a re-hash, totally new versions with full studio quality. These do not sound like demos, this is an awesome recording!